We collected a bag of pinecones last year when we were at Cameron Highlands. 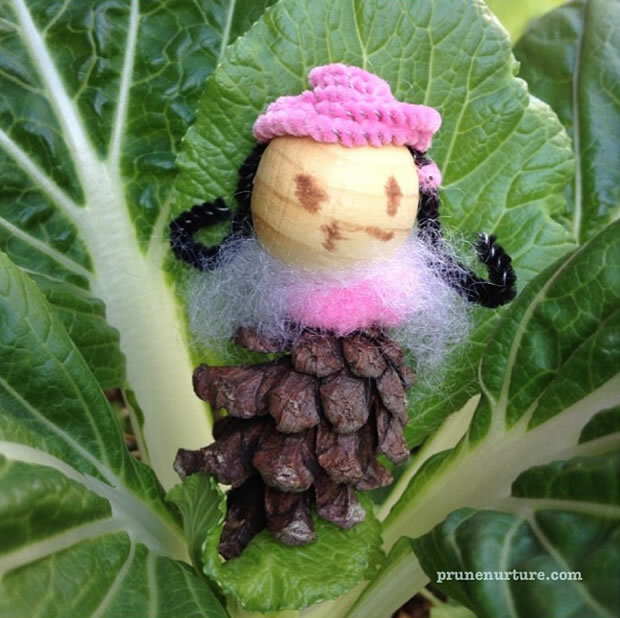 We made a few DIY crafts with our pinecones – a little girl and also hedgehogs. 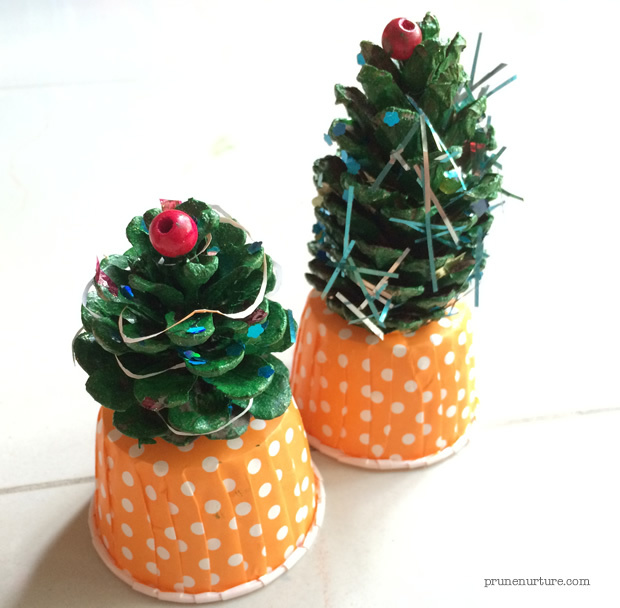 This December holiday, we decided to make some Christmas trees using them. 1. Mix the blue and yellow acrylic paints to get green colour. 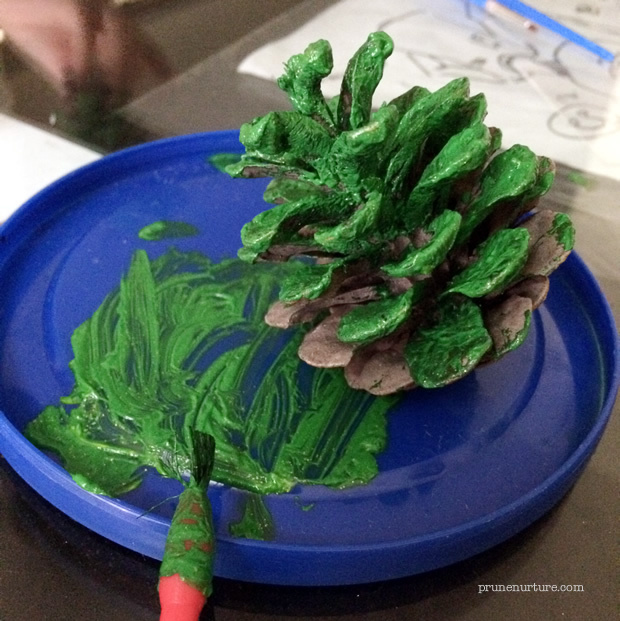 I also add glitter glue to the green paint so that Dot and I can stick the sparkling glitters onto our mini trees. 2. 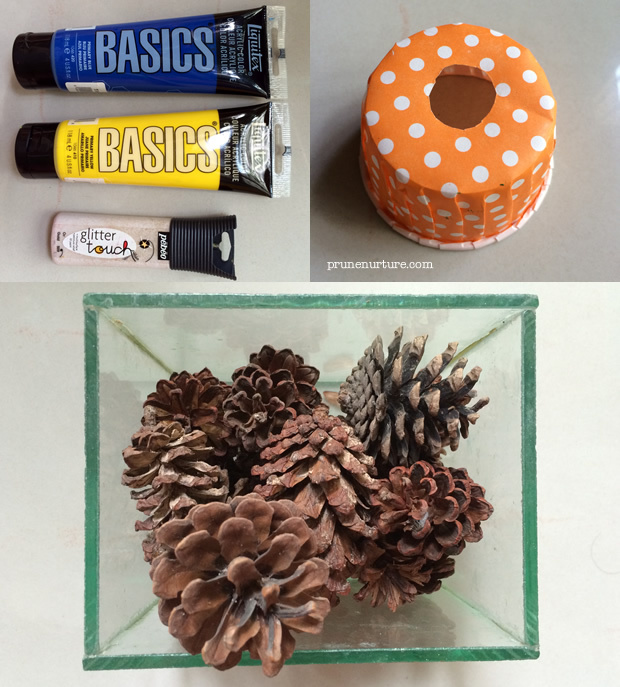 Paint the pinecones and then add some beads and glitters bits onto the not-yet-dried pinecones. 3. To hold the pinecones in an upright position to dry properly, I cut a hole in the paper cupcakes and place the pinecones on the holes. The cupcake holders can also be used as stands for the pinecones.